The next update is on the horizon and it’s time to collect latest info in a single place. It’s tricky to see what’s coming looking at Supercell doesn’t have a set schedule for their updates or a fixed roadmap for fresh features. They appear to work generally with “it’s done when it’s done” (at the least they stick with whatever they say it will be). Although, there is always update information that gets thrown out before the official news comes. This can involve extractions from the game code, developer publications in the official forum, or from people who are under NDA with Supercell (a number of YouTubers, Forum Administrators or other people). I’m not merely one of those, so I’m not bound to any regulations. I can publish anything I want and that’s exactly what I do. I will always look at any leak I find and if I see one which makes sense from a trustful source, I will right away show it here – but also expect me to show fake leaks and let you know why they are fakes. Because of many requests I switched the order from the bottom (old) to top (newest). If you’re visiting this page the very first time and want to get the whole story, you’ll have to start from the bottom part. There’s a problem with one of Supercells server that keeps a few of us to load the village properly since yesterday. The Maintenance Break should fix this and is about to start now. When we all know, Supercell invites their “inner circle Youtubers” before a brand new update gets released to allow them to test it out, tell them their opinion and assemble their video material for the Sneak Peek week. It’s unlikely that this is happening without Powerbang and as he’s not engaging in any Clash Royale and I doubt he’s on a holiday in Finland it seems like this week will be when Supercell will get together with the Tubers. My prediction: They will do their conference and testing this week and a week later we probably see the Sneak Peeks. The answers from the Developer Q&A arrived (my opinion below)! 1 & 2) Is there any chance of including something like the Clan Chests in Clash Royale? What are your long term plans for events? At this point a “Clan Chest”-like feature is not planned, but we surely talked about the possibility of running an event with similar mechanics (to some extent). Not something that we are currently developing at the moment though – as we are totally focused on pumping out a super awesome update. 3) Will you consider adding an option to copy a base? It’s something we have talked about in the past, but it’s just not on our radar at the moment. Of course we will revisit the idea down the track – but we don’t commit to things that may not come to be. 4) Will anything be done (possibly in the near future) to bring down Hero regeneration time to make them compatible with how long it takes to cook an average army? As you may remember, we reduced Heroes’ regeneration time by quite a bit back in May 2016. Training times feel overall much better and in sync to us, and at the moment there are no plans to proceed with further reductions in regeneration times. 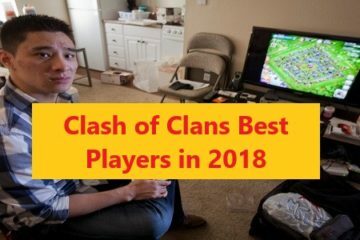 5)Does Supercell see lopsided bases as a fair and equitable playing style? “Engineering” is a heated topic and opinions about it are divided. Are lopsided bases anything we can prevent? If we could, should we do drastic changes? Would players put up with strict restrictions on upgrades to mandate offense-defense balance? Say we put in a restriction, could the restrictions be balanced to be somewhat more lenient? Where would we draw the line? And if this is a complex line, would we need tools to help players manage their upgrades and understand their restrictions better? Some cases cannot be prevented even with restrictions. 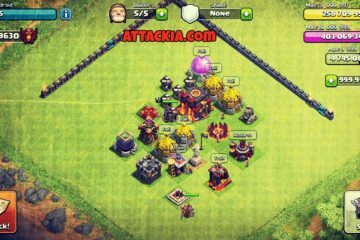 For instance, thinking about launching a new troop, spell, defense or extra buildings at lower Town Hall levels. Doing balancing becomes more difficult, as any bigger rebalance could allow people to break the restrictions. Without a restriction, what can we do? Keep in mind that we are already doing a lot. As mentioned in the previous Dev Q&A, there is a huge amount of code behind the CW matchmaking that specifically looks for lopsided bases and is designed to mitigate any unfair advantage they might have. This isn’t always obvious to players, because the war map is sorted by defense strength only. However, attack strength is ALWAYS taken into account, and CW matchmaking does all it can to make sure the “books are balanced” overall from top to bottom of a war map, both in terms of attack and defense strength. Of course we can always do better and we will continue to improve this matchmaking very often. We can’t really prevent them without making extremely complex restrictions that will adversely impact some players and that would require a lot of time and development effort to do right – and even then they might not even work that well in the long term. Instead, we try to improve our matchmaking algorithms to reduce unfair advantages from things like lopsided bases, and we will continue to do so regularly! Supercell wants to make more complex events, but doesn’t know when. Working on a “super awesome” update (heard that before). Heroes regeneration won’t be reduced. Lopsided bases are lopsided bases. So… not too much. I think Supercell will tune the matchmaking algorithm to match up lopsided (engineered) bases more against each other. Anything else wouldn’t be possible to do anyways. It’s been very calm within the last days and while lots of people (including me) anticipated something, Supercell hasn’t said much. Maybe they’ve already been too busy pulling out the next ban wave a couple ago. The most discussed topics (other than the ship wreck ), is the future of engineered and lopsided layouts. The official forum is filled with posts and discussions. I too have been discussing this a whole lot on Discord lately. Supercell is not bursting the silence and we haven’t gotten the responses from the Developer Q&A, but it has become a wide known secret that Supercell will (and have to) manage the current matchmaking in Clan Wars, that is basically conquered by engineered layouts. The silence from Supercell is quite apparent during the past months and I’m sure they are working on something big. I specifically don’t think they will change the whole program making engineered bases hopeless. 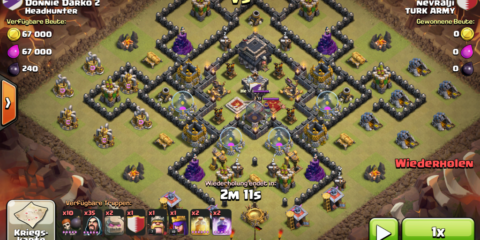 I think they will try to match clans with engineered bases against one another more frequently. 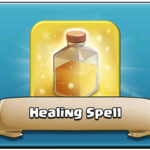 So far, we’ve seen mainly single troop or spell events, that are nice (and can earn you a number of resources), but are not so rich in variety. Right now we have seen the very first official answer from Supercell where they demand to take the events. The events were released in the December 2016 Update and no one expected that they would be continuing the way we’ve seen in up to now weeks, so I’m not disappointed so far at all. However, the Double Star Event or the special Christmas Events have shown just how much potential this latest feature have. I’m looking towards how this will develop later on. 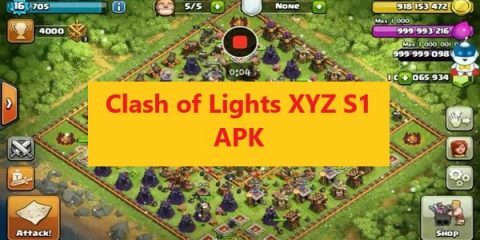 Finally, a Developer Q&A where one can ask the Clash of Clans Developers what you would like to know about the future. You can post your questions until Saturday (Jan 28th). Then you can certainly vote on the top 5 questions the developers will reply until Wednesday, next week, (Feb 1st). You can submit your questions & vote for them here in the official forum. Supercell just started the Clan Gift Packages once again – some of you might remember it from previous month. They are fairly nice. Once you or one of your clan members buy these packages that value the very same as the regular ones, there will turn up a message in the clan chat and other clan members can get quick free gems. A side note about the price rise for iOS players in UK – these changes are not started by Supercell. Apple does, from time-to-time, change prices when currency exchange rates change over a specific amount. Supercell has to adjust their in-App packages to the prices that Apple restricts, they can’t just say “0.27 for a Pile of Gems”. I know there has been a number of hate about Supercell being greedy, but the GBP has just been getting weaker in the last month compared to the USD, so Apple did change the prices. Sadly, the very first official info is bad news. 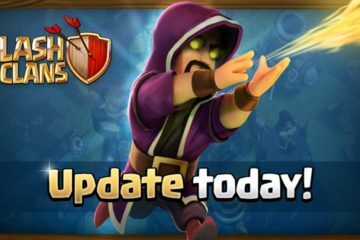 You will need at the least iOS7 to get the next Clash of Clans Update through the AppStore, and without getting the update you’ll not be able to play. With the next coming update to Clash of Clans, we will unfortunately have to end support for all Apple devices running on iOS versions lower than 7.x due to technical reasons beyond our control. 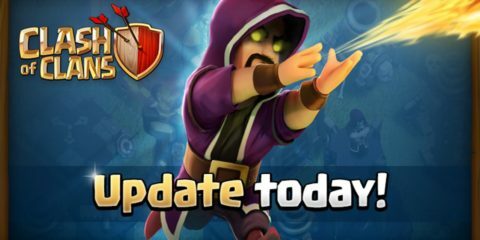 In order to keep playing Clash of Clans, please update to iOS version 7.x (or higher) as soon as possible. 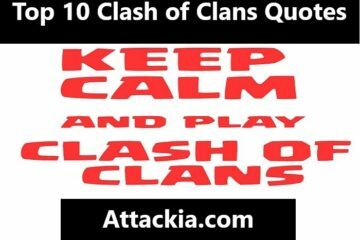 You won’t be able to play Clash of Clans unless you have updated to iOS 7.x or higher, or if your device does not support iOS 7.x or higher. iPod Touch 3rd and 4th generation. From what I see, there’s just a few people playing on these devices and those who don’t can maybe enjoy smoother graphics and other performance enhancements. If you’re running one of those devices, you can switch your account to a different device or continue playing on PC/Mac. There is absolutely no update ticker without some game file leaks. This was just lately published on Reddit and said to be from the game files of the last update that taken out the Christmas Theme. 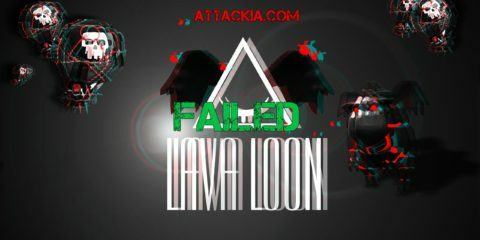 Please be aware that there’s also a lot in the game files that in no way made it to a final update – however, I hear people discussing it so I’d like to share my opinion. This very first part looks like something that could be true, attaching some special Value Packs for Chinese New Year. Of course, this really is the Inferno Tower, the Air Sweeper along with the Dark Spell Factory – I believe that the person just wanted to create more attention by claiming to have found different defenses. The similar here, you can visibly see that this is the Freeze Trap (see the “EnableBycalendar”, meaning this is only a seasonal trap) and the Seeking Air Mine. 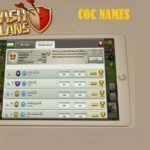 The names by themselves don’t make that much sense to me – they appear like defensive spells, but I don’t believe that we ever see “Live Defending” in Clash of Clans. Also, the training times are so lengthy that it looks much like an old leftover since Supercell did minimize the training times of spells and troops in Summer of 2016. Probably not update info, but a security hole in vBulletin, the tool that Supercell makes use of for their official forum, let attackers steal about half the user logins with encrypted passwords. The encryption is not really that good if it is possible to decrypt the passwords, so make sure you change your pass not only for the official forum, but also all over you used that password.